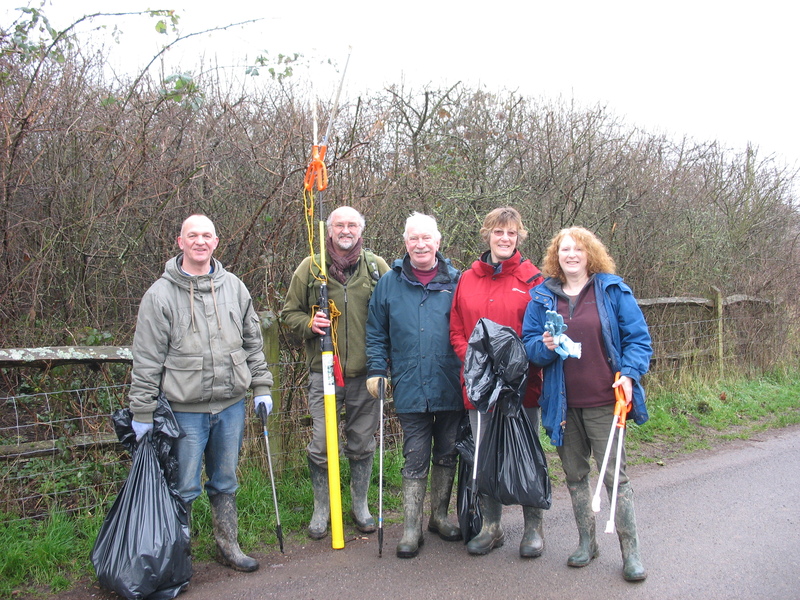 Masterminded by committee member Mike Ayling, a gung ho band of litter pickers cleared some of the “hot spots” round the farm as part of a spring clean in early March. It also proved a good “advert” as several passers by thanked us for our efforts, offered to help in the future and wanted to know more about the Friends. Thanks to HDC warden Stuart Card for equipment and rubbish bags.